Freckled sunrise golden with a touch of a pink cheek. Flavor notes include a traditional sweet with a mild aroma and smooth finish. Perfect for eating out of hand, salads, cider, cooking and a saucing blend. The Golden Delicious apple was discovered in 1905 by chance. It is speculated that it may be a cross between Grimes Golden and Golden Reinette. Did you know? 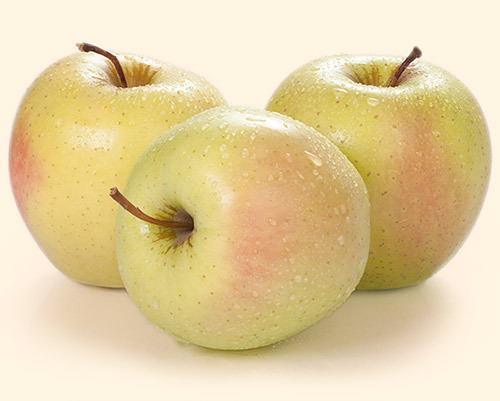 The Golden Delicious has 57,000 genes, the highest number of genes in any plant.